Here at A P Benson Roofing & Building, we are proud to be among the top roofing companies servicing the county of Surrey. 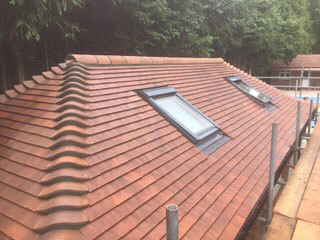 Working from our main office in Guildford, we have spent over thirty years building up an enviable reputation in the region for the quality of our expert team of roofers. With thousands of satisfied domestic customers and commercial clients across the county, including Woking, Farnham, Chobham, and Godalming, among others, our reputation for excellence has been built on their recommendations to friends, families, and colleagues. 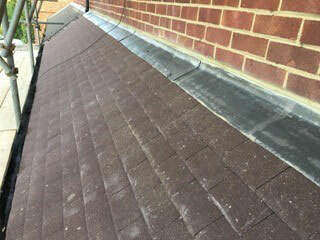 As one of the leading roofing companies in the area, we have a host of services available for our valued customers. From clearing out gutters to installing a whole new roof to your property, installing or repairing roof canopies or fitting a Velux roof window our team of expert roofers meet the requirements of any job put before them. Whether you’re added a new roof to a work-in-progress, replacing the entirety of a roof on an existing property, or repairing damage to your current roof, you need look no further than A P Benson Roofing & Building and our highly-trained team of professional and accredited roofers. Equally comfortable working with pitched or flat roofs, we promise a quality service every time, even with listed, period, and character buildings. As well as the main body of the roof, our roofers can install, repair, or replace your rooflines. This includes the full run of the roofline, from soffits and fascias to bargeboards and box ends. Additionally, we offer a full range of gutter work, including cleaning and maintenance, as well as repairs and replacements. While some roofing companies will go no further than the immediate roof area, our team of roofers are happy to go that extra mile. Does your chimney need repairing, or the brickwork of your house need repointing? Then call A P Benson Roofing & Building today. Whatever you expect from a professional roofer, our team will exceed your expectations. We handle roof maintenance and cleaning, including moss removal, as well as high-quality lead work, vertical tile hanging, roof canopies, house re-pointing and so much more. We cover most of Surrey from our Guildford office, including neighbouring Woking, Chobham, Godalming and Farnham. Trading continuously since 1980, our team of accredited roofers are unmatched by any other roofing companies in the area. 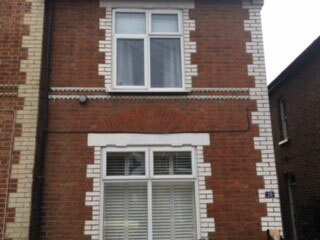 With more than 100 years’ experience between them, a professional job and a quality finish is guaranteed.